Dundun Dance Class is a fun, energetic drum and dance style originating from Guinea, West Africa. Dunduns are cylindrical bass drums played with sticks. 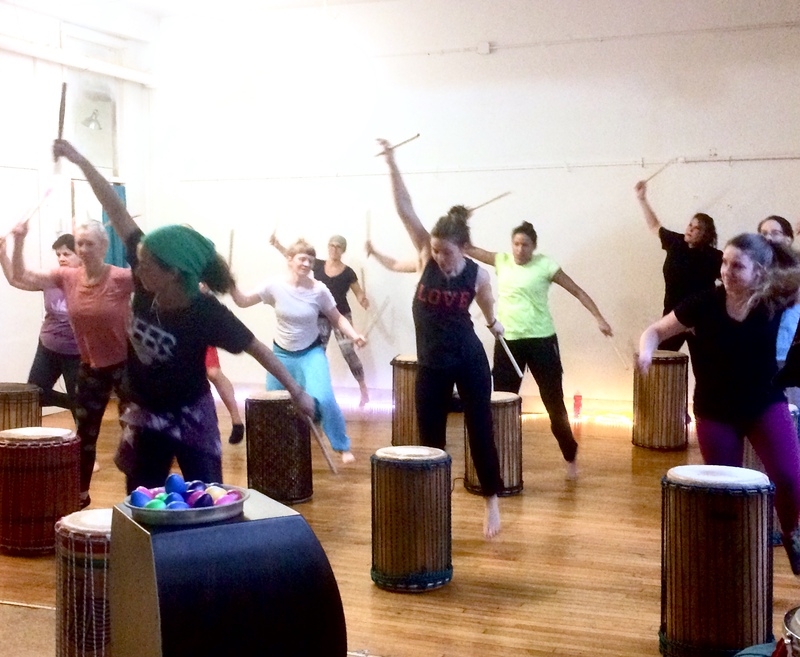 This dance and drum class is unique in that participants have the opportunity to learn the dances while playing the rhythm. Unleash your inner dancer and drummer to this inspiring, supportive and friendly environment! No prior dance or drumming experience necessary! Reservations are necessary to ensure a drum and sticks.